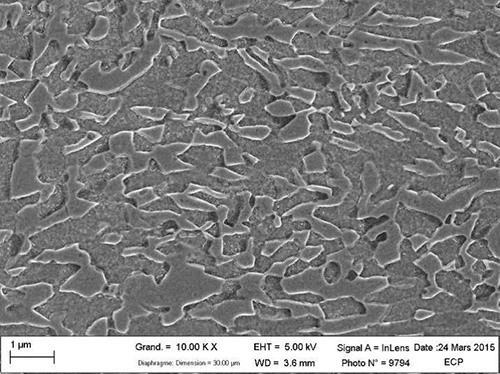 Figure 1: Microstructure of medium manganese steel annealed at low temperature after a 1% Nital etchAs seen in Figure 1, the microstructure contains austenite in a ferrite matrix. 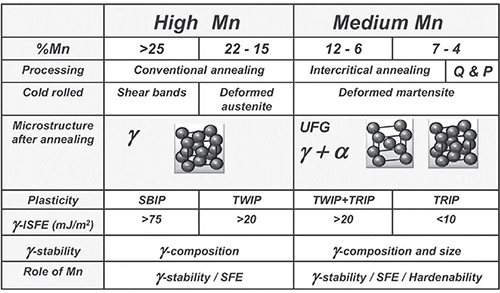 The exact morphology of the microstructure is unknown; it must be confirmed whether it consists of austenite “islands” completely surrounded by ferrite or if the two phases are intertwined. This will be accomplished by progressive focused ion beam (FIB) erosions and electron backscatter (EBSD) analyses of phase distributions and crystallographic orientations. This entry was posted in Ferrous alloys, High Strength Steels, Microstructure and tagged Manganese, mn, Steel. Bookmark the permalink.